Any breast cancer diagnosis can be difficult news to absorb -- yet one type of breast cancer may not be life-threatening itself and could possibly be treated with observation alone. 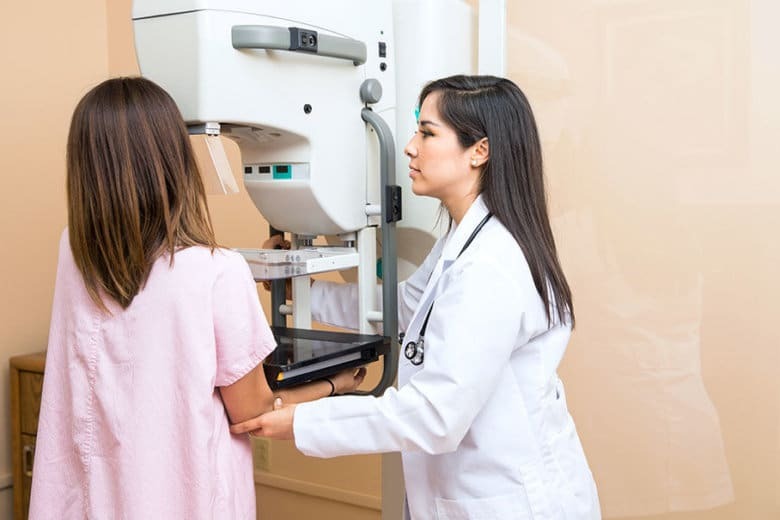 Any breast cancer diagnosis can be difficult news to absorb — yet one type of breast cancer may not be life threatening itself and for very selected patients could possibly be treated with observation alone. Ductal carcinoma in situ (DCIS) is the earliest form of breast cancer. DCIS is a non-invasive cancer that is confined to the milk ducts of the breast, and is often considered “stage zero,” said Dr. Patricia Wehner, a breast surgeon at MedStar Washington Hospital Center. DCIS does not have that ability to spread to other places in the body, but if it is left untreated and morphs into an invasive cancer it has the ability to spread, Dr. Wehner said. According to Dr. Wehner, about one in 1,300 mammogram screens will be positive for DCIS, and there are about 51,000 new diagnoses of DCIS each year. Women of any age can get DCIS, but the number one risk factor for developing breast cancer is age, she added, meaning the older you are, the more likely you are to develop breast cancer. Specialists are examining mammogram results for any new lumps, nodules, asymmetries or calcifications. DCIS shows up most often as calcifications, Dr. Wehner said, adding that small and fine dots (calcifications) lead them to do a needle biopsy of the site. During that procedure, the area of the breast is numbed and a small sample of breast tissue is removed. A pathologist will then determine whether the calcifications indicate cancer or a benign condition. If the test shows DCIS, it’s wise for patients to meet with a specialist to determine which type of treatment is best for them. When DCIS is found, it’s recommended to have a multidisciplinary approach to treatment, Dr. Wehner said. Years ago, almost all forms of breast cancer were treated with a mastectomy, which removed cancer cells but also removed the entire breast. The procedure forced women to undergo chemotherapy and radiation therapy, too. Now, those diagnosed with DCIS can potentially avoid surgery altogether if they enroll in a clinical trial. “In today’s era, we are much more specific about the types of treatments we recommend, and that’s because it’s not a one-size-fits-all criteria any longer,” Dr. Wehner said. Treatment may include surgery, but tactics such as radiation therapy or medication may be employed as well. Chemotherapy is something that’s not used since the negative side effects outweigh the benefits for this type of cancer, Dr. Wehner said. Sometimes it is recommended that patients undergo a lumpectomy, during which doctors remove only the cancerous tissue and a small portion of healthy tissue that surrounded the cancer. Many patients are also recommended to go through radiation therapy after a lumpectomy. Radiation therapy reduces the risk of DCIS coming back by about 50 percent, Dr. Wehner said. A lumpectomy is an outpatient procedure that takes about one hour in the operating room. Most patients can go home the same day as their procedure and have a quick recovery, Dr. Wehner said. Procedures such as a mastectomy and breast reconstruction may require patients to spend several days at the hospital. There is a clinical trial going on now that looks at observation alone for DCIS treatment rather than moving forward with surgery. For certain patients with less-severe DCIS, women are given mammograms every six months to check for changes in the cancer. The goal is to determine if some patients can avoid breast surgery and manage DCIS through monitoring alone. MedStar Washington Hospital Center’s robust multidisciplinary team helps give patients the personalized medical plan that is best for them, Dr. Wehner said. For more insights from Dr. Wehner, including her podcast on DCIS breast cancer, click here.